The Zipp 858 NSW Disc Brake Wheelset proves that aero efficiency gains and crosswind stability are not mutually exclusive. Featuring Zipp's Sawtooth™ rim design, the 858 features their NSW-exclusive HexFin ABLC dimples, for even greater aero efficiency and crosswind stability. 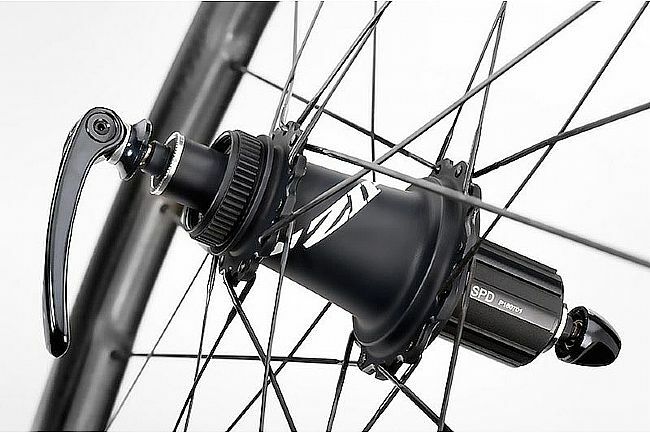 This disc-specific version of the 858 NSW doesn't just put a new hub on the old rim, Zipp redesigned the rim to deliver the kind of performance riders' expect from Zipp. 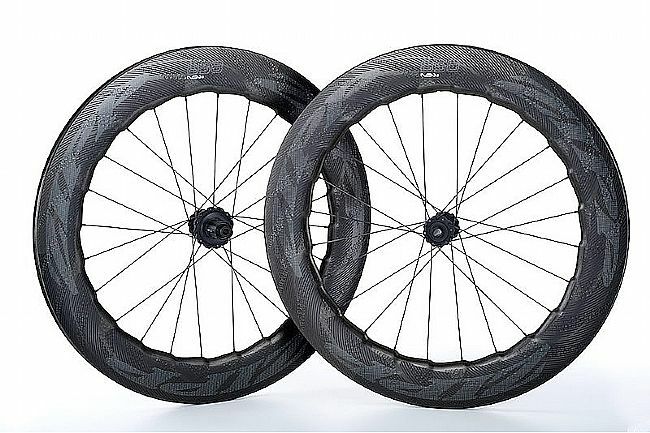 With its variable rim depth, the 858 measures 77/82mm deep with a maximum width of 23.7mm, offering greater stability and improved aerodynamics for those riders that seek the improved control and all-weather performance of disc brakes. 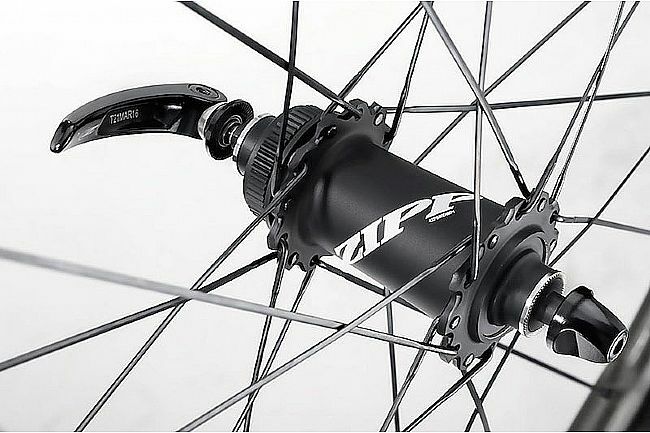 The Zipp 858 NSW Disc Brake Wheelset includes Zipp's Tangente titanium black skewers, valve extenders, individual wheel bags, Tangente tubes (700x20-28mm), rim tape (700x20mm), and zipp thru-axle end caps to fit 12x100, 15x100, and 12x142mm dropouts. Rim Width: 17mm (internal), 23.7mm (external). Front Axle: Quick release, thru-axle compatible. Rear Axle: Quick release, thru-axle compatible.